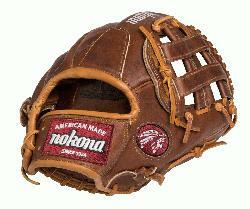 Nokona WB-1200H Walnut Baseball Glove 12 inch (Right Hand Throw) : Nokona has built its reputation on its legendary Walnut Leather. 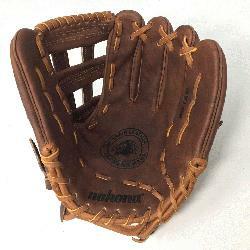 Now made with our proprietary Walnut HHH Leather which provides greater stiffness and stability. 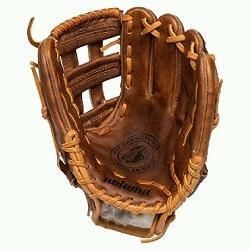 Once this glove is worked in, this glove is soft and supple, yet remains sturdy - a true, classic Nokona.